This is a low cost 40 pin IC base with a pitch of 2.54mm for DIP IC's. This IC socket is as you do not have to solder the IC directly. So if your IC gets damaged you can easily replace it without desoldering. 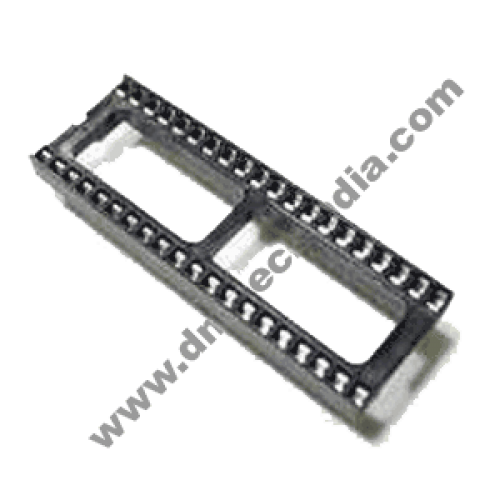 Basically the IC base allows easy replacement of IC thus eliminating the risk of damage from overheating during soldering & desoldering process. 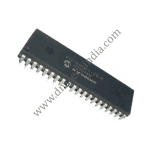 This IC base cab be used with all 40 pin DIP microcontrollers like 89S51, 89S52, PIC16f877 etc.